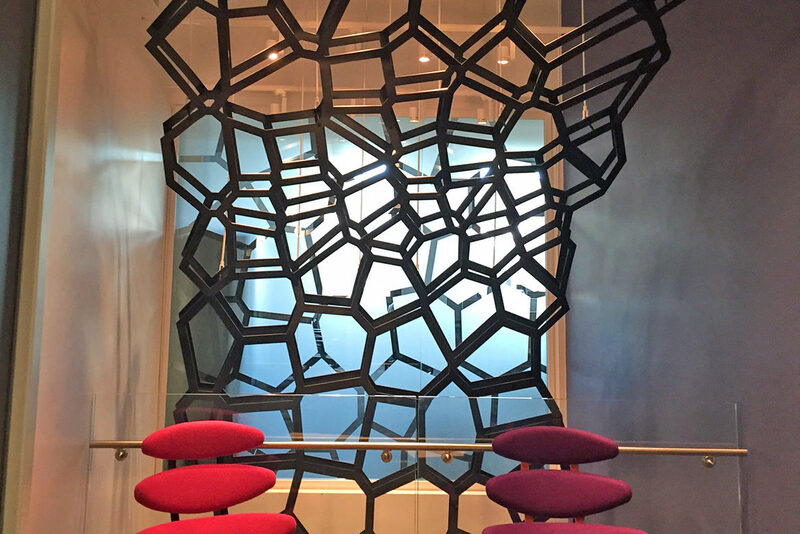 Water Jet cut hanging steel feature wall. 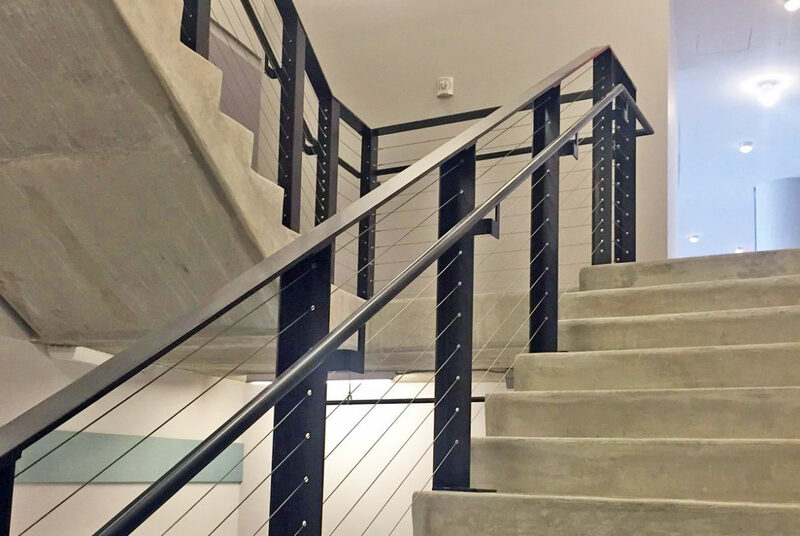 Glass guardrail integrated into poured concrete stair. 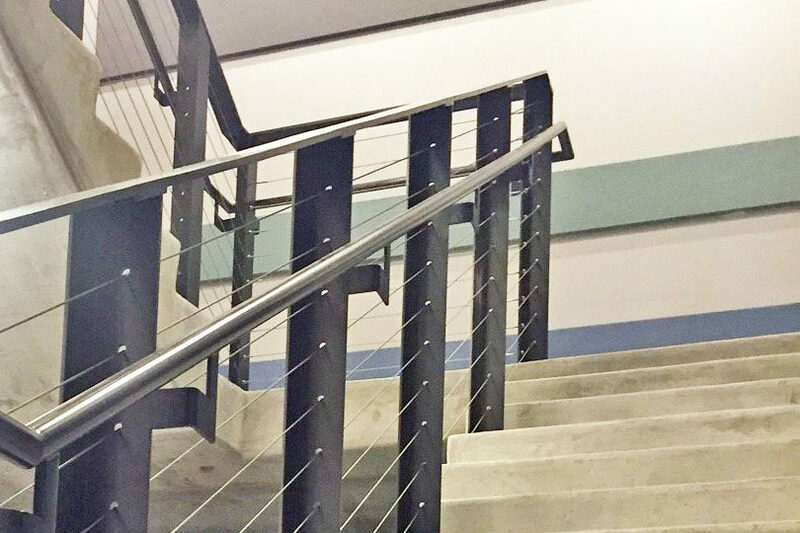 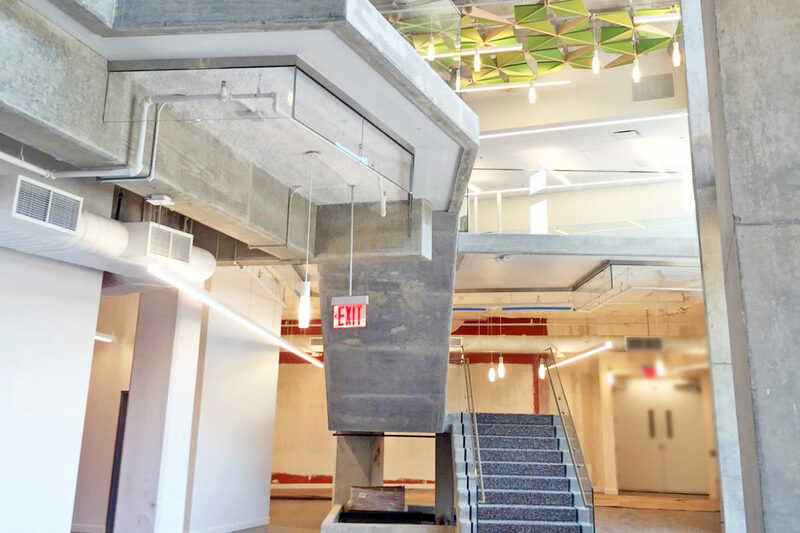 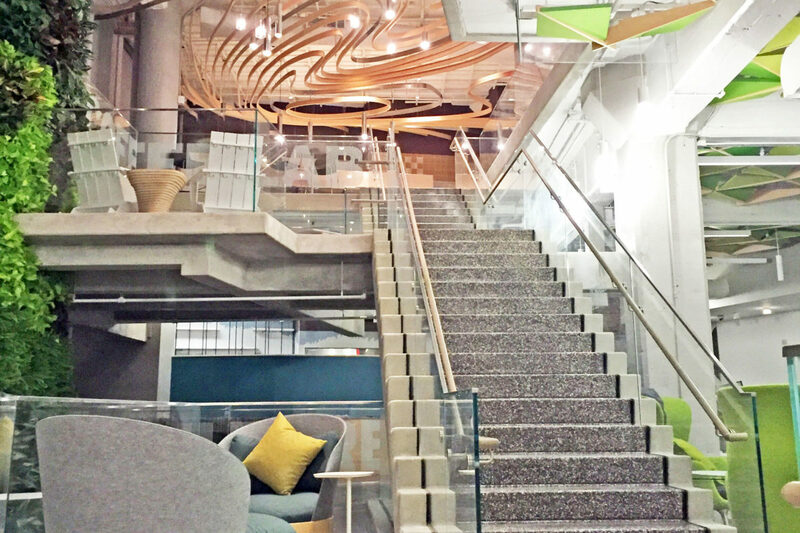 Custom cable guardrail system for Google’s new offices.